Jung Yong-hwa and Lee Yeon-hee to star in "The Package"
Jung Yong-hwa, Lee Yeon-hee, Choi Wooshik, Yoon Park and others have been cast for the new JTBC drama "The Package". "The Package" is a twelve episode drama about a tour guide and 8 tourists in Paris, France. These people have come to travel for different reasons but have to deal with each other even if they don't want to. Lee Yeon-hee becomes a guide named Yoon Soso and she leads the group of people consisting of Jung Yong-hwa, Choi Wooshik, Yoon Park, Ryu Seung-soo, Ha Si-eun, Jung Kyu-soo, Lee Ji-hyun-IX, Park Yoo-na and more. Jung Yong-hwa, Choi Wooshik, Yoon Park and Ryu Seung-soo take on the roles of Sin Ma-roo, a man who is on vacation alone after being dumped by his girlfriend, Kim Kyeong-jae who's been in a relationship for 10 long years, a mysterious man who follows Yoon So-so around and Na-hyeon whose age is hard to determine. People with different goals and lives stick with each other in this package tour and communicate with each other. "The Package" is written by Cheon Seong-il, a hit-maker and directed by Jeon Chang-geun. 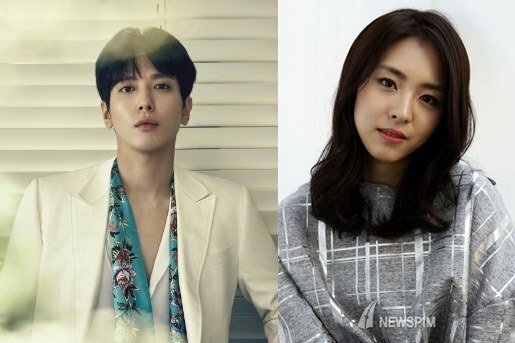 "Jung Yong-hwa and Lee Yeon-hee to star in "The Package""